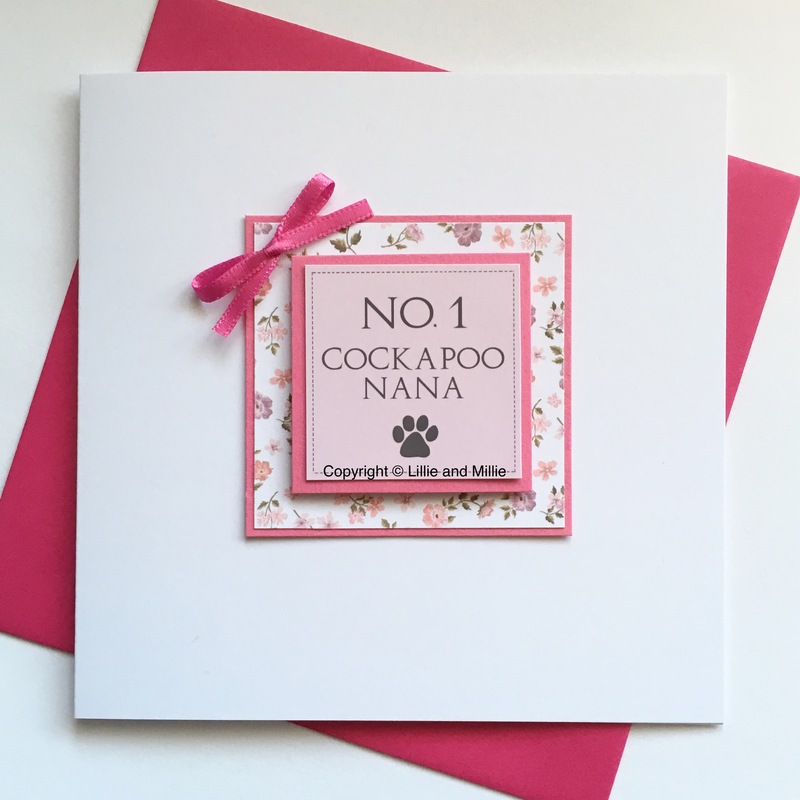 Pawfect card to surprise any dog mum or gran with! Guaranteed to bring smiles. Card left blank for you to add your message. Complete with a pink envelope. 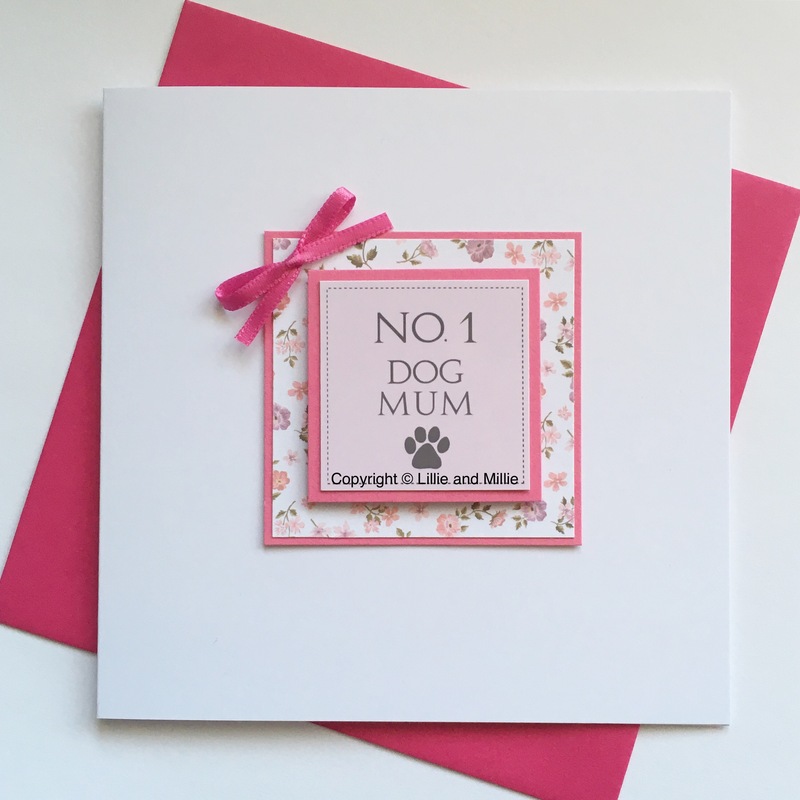 Super cute card pawfect for Mums. If you require the wording "Mummy, Mom or Mommy" please email sales@lillieandmillie.com with your requirements. If you wish to purchase from outside the UK please contact us for shipping costs before you purchase. 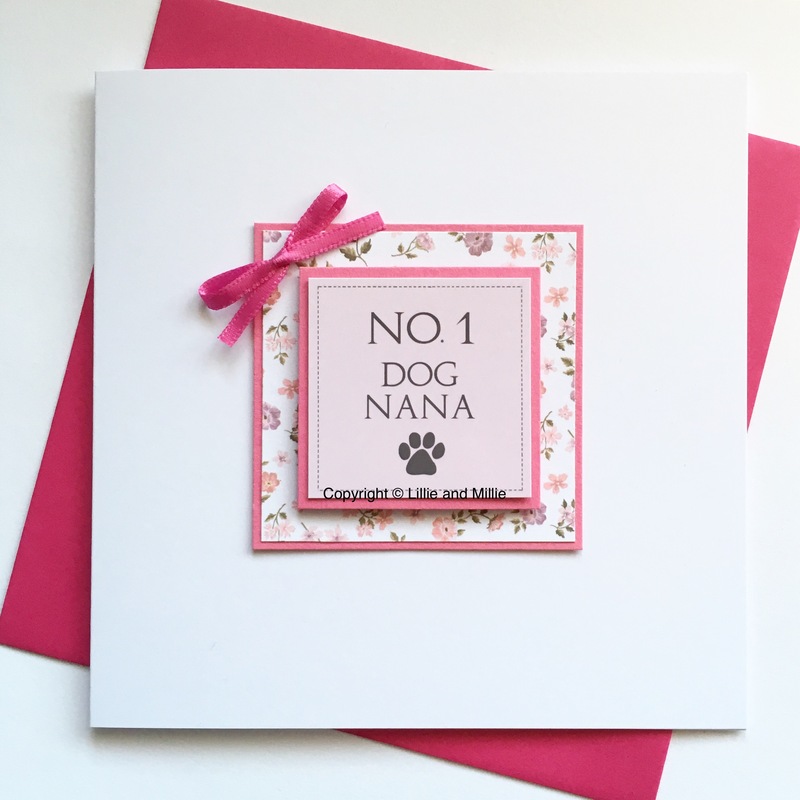 Super cute card pawfect for Nanas. If you require the wording "nan or nanna" please email sales@lillieandmillie.com with your requirements. If you wish to purchase from outside the UK please contact us for shipping costs before you purchase. 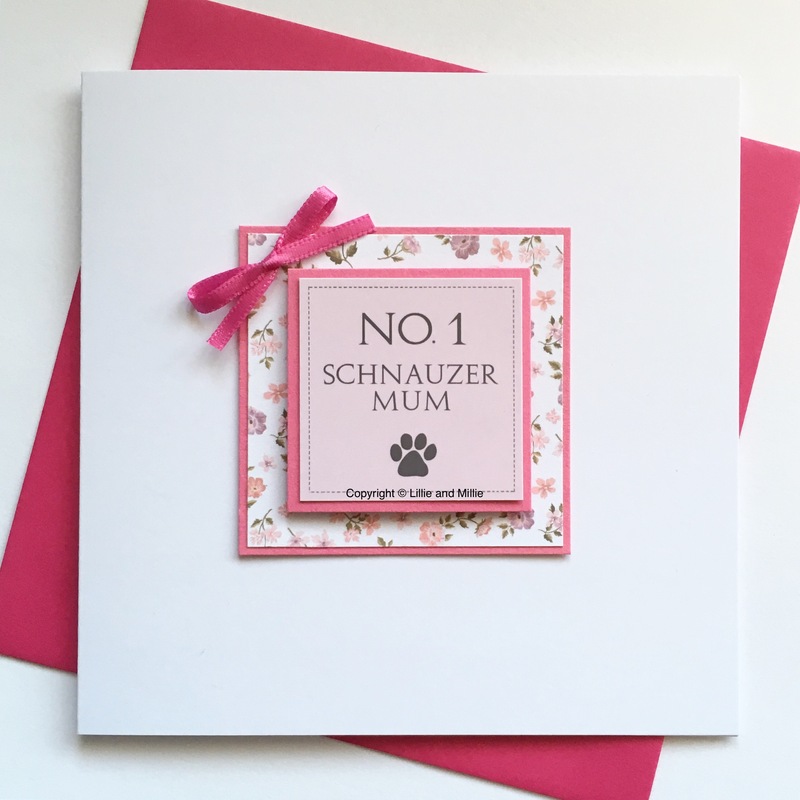 Super cute card pawfect for Schnauzer Mum's. All breeds available in this style. If you require different wording then please email sales@lillieandmillie.com with your requirements. If you wish to purchase from outside the UK please contact us for shipping costs before you purchase. Super cute card pawfect for Frenchie Mummy's. All breeds available in this style. If you require different wording then please email sales@lillieandmillie.com with your requirements. If you wish to purchase from outside the UK please contact us for shipping costs before you purchase. Super cute card pawfect for Cockapoo Nana's. All breeds available in this style. If you require different wording then please email sales@lillieandmillie.com with your requirements. If you wish to purchase from outside the UK please contact us for shipping costs before you purchase. 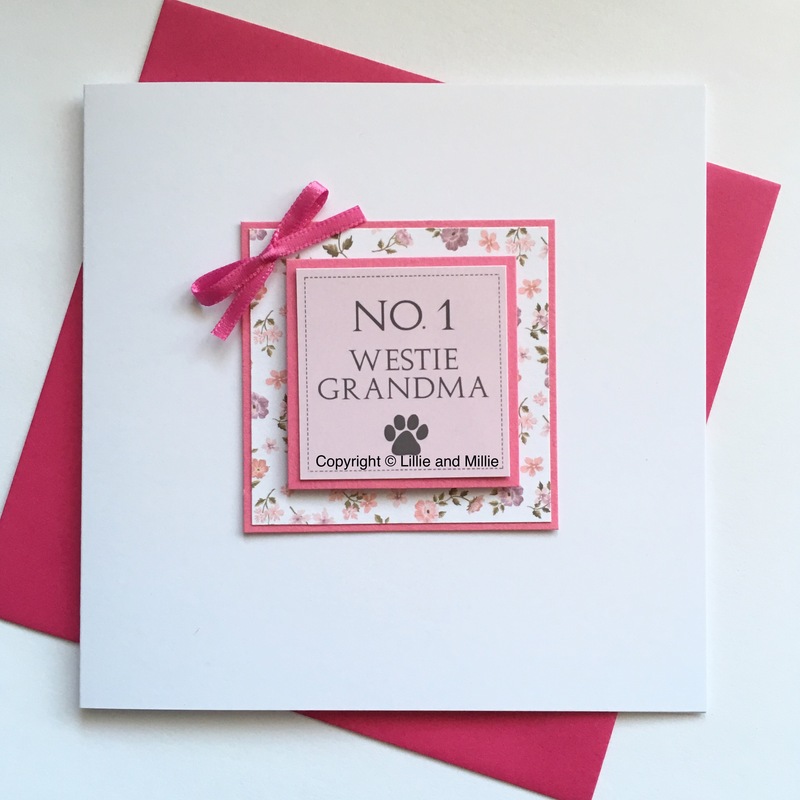 Super cute card pawfect for Westie Grandma's. All breeds available in this style. If you require different wording then please email sales@lillieandmillie.com with your requirements. If you wish to purchase from outside the UK please contact us for shipping costs before you purchase.